Casper Nezkrotná markýza - ex1 CAJC BOB junior BOB!!! NEW CZECH JUNIOR CHAMPION!!! 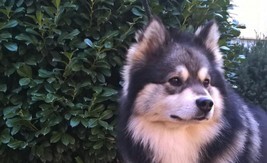 Alaska Atasi Nezkrotná markýza - ex1 CAC CACIB CAC ČMKU BOS!!! Casper Nezkrotná markýza - ex1 CAJC BOS!!! 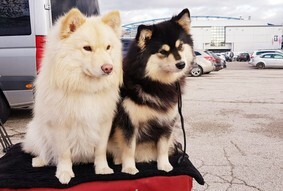 Alaska Atasi Nezkrotná markýza - ex1 CAC CACIB CAC ČMKU BOB!!! NEW CZECH CHAMPION!!! 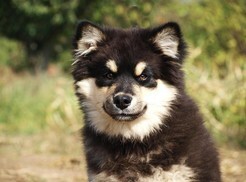 Saukko av Vintervidda - VP1 3BOD puppy!!! Casper Nezkrotná markýza - ex1 CAJC BOB junior BOS!!! 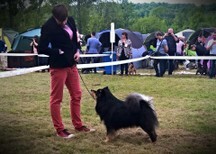 Alaska Atasi Nezkrotná markýza - ex1 CAC National winner 19 BOB!!! Casper Nezkrotná markýza ex.1 Jugendbester BOB!!! C.I.B. Lapinlumon Oilikki ex.1 CACA CACIB BOS!!! Casper Nezkrotná markýza - ex. 1, CAJC, BOJ, BOS!!! C.I.B. Lapinlumon Oilikki - ex. 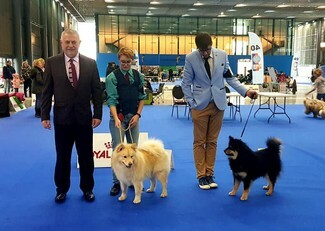 1, CAC, CACIB, CAC ČMKU, BOB Prague winner 18' !!! 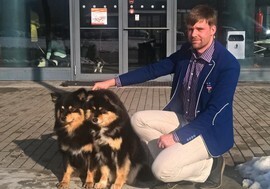 Saukko av Vintervidda - VP1 BIS puppy!!! C.I.B. Hiittanan Willi Wonka - ex1 Regional winner BOG2!!! C.I.B. 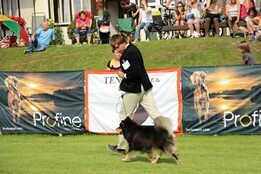 Hosuli av Vintervidda - ex1 Honour class winner BIS!!! C.I.B. 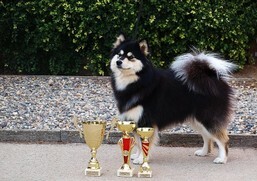 Hosuli av Vintervidda - ex1 CAC Club winner 18 BOS BIS1!!! C.I.B. 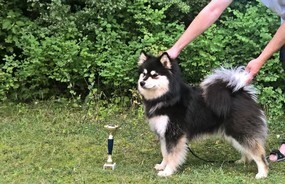 Lapinlumon Oilikki - ex1 CAC Club winner 18 BOB!!! CZCH Lapinlumon Oilikki - ex1 CAC CACIB BOB!!! 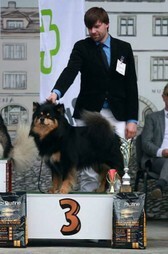 CZCH Lapinlumon Oilikki - ex1 CAC CACIB Austrian Bundessieger 18 BOB !! !NEW INTERCHAMPION!!! Saukko av Vintervidda - VP1 res.BIS baby!!! Bucifal Nezkrotná markýza - ex1 3BIS junior!!! C.I.B. 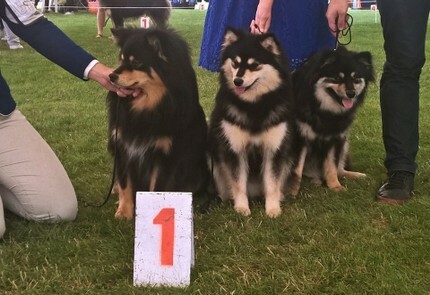 Hosuli av Vintervidda - ex1 Regional winner BOG2!!! 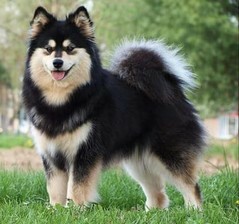 CZCH Lapinlumon Oilikki - ex 1 CAC CACIB CAC ČMKU BOB BOG5!!! C.I.B. Hosuli av Vintervidda - ex1 CAC BOB res.BIS!!! 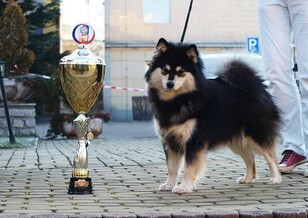 CZCH Lapinlumon Oilikki - ex 1 CAC National winner CAC ČMKU BOB!!! CZ CH. 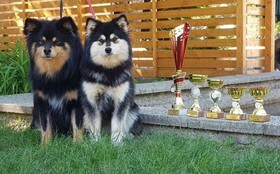 Lapinlumon Oilikki CAC, National winner, CAc ČMKU, BOB, BOG 5!!! C.I.B. Hosuli av Vintervidda CAC CACIB CAC CMKU BOB BOG 3!!! CZ CH. Lapinlumon Oilikki CAC CACIB CAC CMKU BOS!!! CZCH. 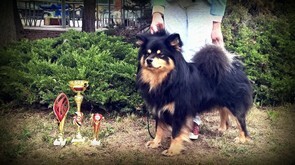 Lapinlumon Oilikki - ex1, CAC, CACIB, CAC ČMKU, BOB, res.BOG Prague winner!!! 28/4/18 Speciality show KCHMPP o.s. Multich. 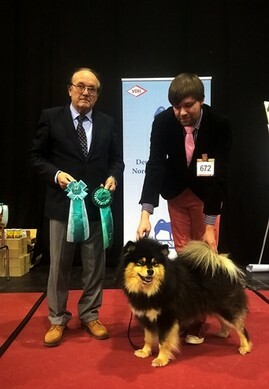 Hosuli av Vintervidda - ex1, CAC, Speciality show winner 2018, BOB!!! CZCH. 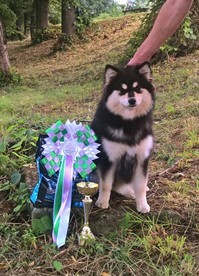 Lapinlumon Oilikki - ex1, CAC, Speciality show winner 2018, BOS!!! 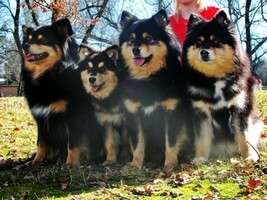 CZjch, NJV16, M&EEUJW16, AUBDSJG16, Lapinlumon Oilikki - ex.1 CAC CACIB CAC ČMKU BOB and BOG5!!! CZJch.NJV16 Lapinlumon Oilikki - ex.1 CAC VDH CACIB BOB!!! 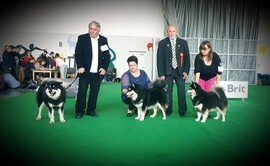 TOP 7 in group V.
CZECH TOP DOG - WON GROUP V.FCI!!!! 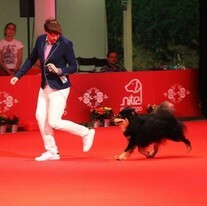 Abigail Visetgloria Nezkrotná markýza - ex.1 jun.CAC VDH and GERMANY JUNIOR WINNER! 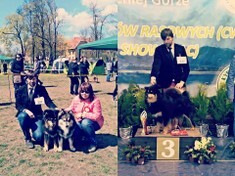 Alaska Atasi Nezkrotná markýza ex.1 CAJC BOB junior NEW CZECH JUNIOR CHAMPION!!! 21/10/17 Club show KCHMPP o.s. C.I.B. MultiCh. 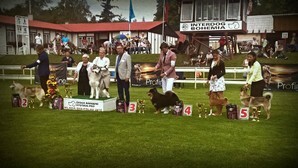 Hosuli av Vintervidda - ex.1 CAC CLUB WINNER 17 BOB! 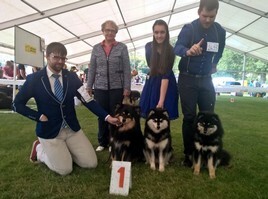 Alaska Atasi Nezkrotná markýza - ex.1 CAJC JUNIOR CLUB WINNER 17 BEST JUNIOR BOS! C.I.B MultiCh. Hosuli av Vintervidda - ex. 1 CAC CACIB CAC CMKU BOB BOG 5!!! C.I.B. MultiCh. Hosuli av Vintervidda ex.1 CACA CACIB CRUFT'S q.18 BOB! C.I.B. MultiCh. Hosuli av Vintervidda ex.1 CACA CACIB BOB! AUSTRIA BUNDESSIEGER!!! and... NEW CHAMPION OF AUSTRIA!!! C.I.B. 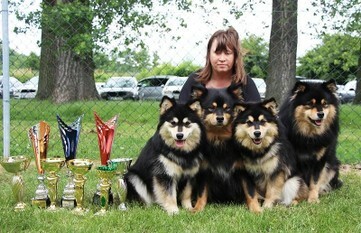 Hosuli av Vintervidda - ex.1 CAC, National winner, CAC CMKU, BOB BOG 2.!!!!!! C.I.B. 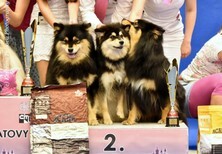 Hosuli av Vintervidda - ex1, CAC, CACIB, BOB and Cruft's cq 18!!! 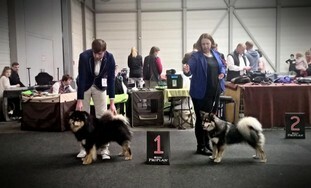 Alaska Atasi Nezkrotná markýza - ex1, CAJC, BOB junior and Cruft's cq 18!!! 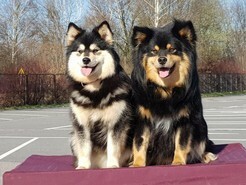 CZ JCH NJV16 Lapinlumon Oilikki - ex1, CAC, CACIB, BOS and Cruft's cq 18!!! C.I.B. 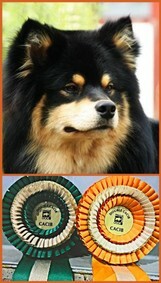 Unelias av Vintervidda CAC BEST MALE BOB BOG 2!!! C.I.B. 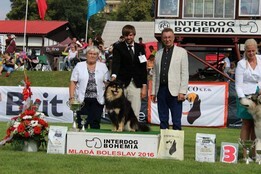 Hosuli av Vintervidda ex.1 CAC National winner 2017 BOB and BOG 3!!! C.I.B. 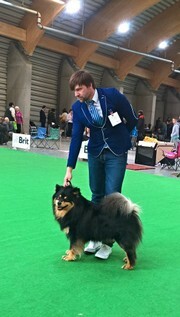 Hosuli av Vintervidda ex.1 CAC National winner BOB BOG 5!!! 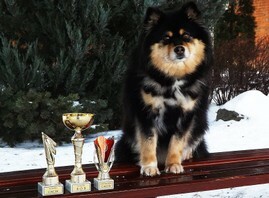 Pikku Tilli Talli av Vintervidda ex.1 CAJC BOB junior and NEW CZECH JUNIORCHAMPION!!! CZ JCH. 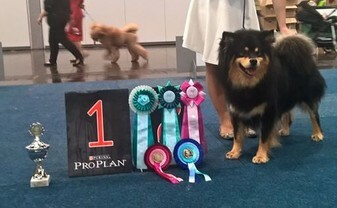 Lapinlumon Oilikki ex.1 CAC National winner BOS!!! 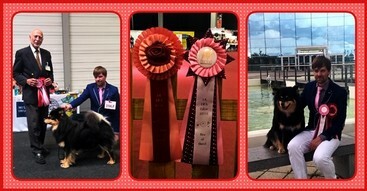 Kennel av Vintervidda res.Best of Day at breederclass competition!!! 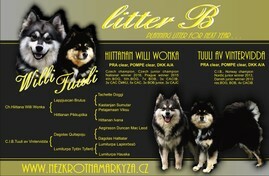 C.I.B CZ DK PL HU SK CH Hosuli av Vintervidda - ex 1 CAC CACIB CAC CMKU BOB BOG 5!!! 17/6/17 Speciality show KCHMPP o.s. !! 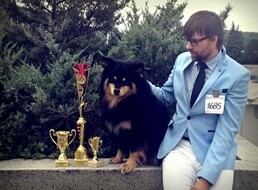 !NEW GRAND CHAMPION OF CZECH REPUBLIC!!! 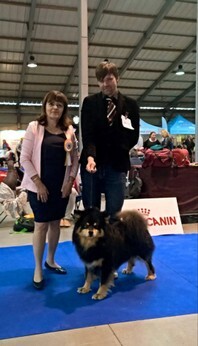 CZ JCH Lapinlumon Oilikki - ex 1 CAC Speciality show winner 17 BOB!!! 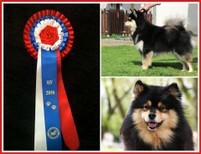 kennel av VIntervidda BIS 1 at breedersclass!!! C.I.B. CZ DK PL HU CH Hosuli av Vintervidda CAC CACIB BOB BOG2!!! 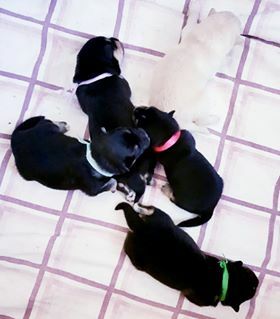 C.I.B. 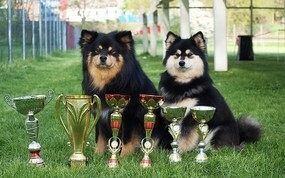 CZ DK PL HU CH Hosuli av Vintervidda CW Regional winner BOG1 BIS!!! C.I.B. 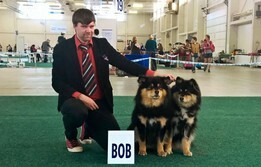 Hosuli av Vintervidda - CWC Best male BOB BOG 3!!! C.I.B. 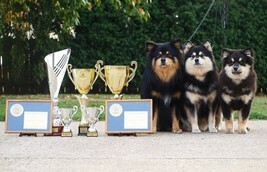 CZ DK CH Hosuli av Vintervidda - CAC National winner CAC ČMKU BOB 5.BOG!!! !! 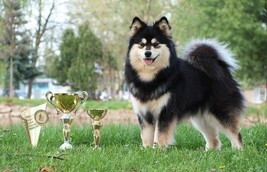 !NEW CHAMPION OF SLOVAKIA!!! NEW INTERCHAMPION!!! 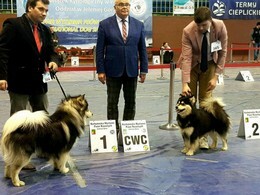 NORD CZ HU CH Unelias av Vintervidda - CW Regional winner 2017 BOG!!! C.I.B. 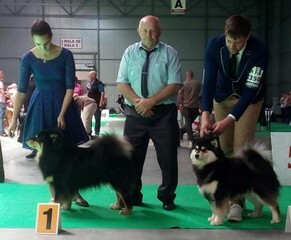 CZ DK CH Hosuli av Vintervidda CAC CACIB BOB Cruft qualification 2018 NEW CZECH SHOW CHAMPION!!! C.I.B. 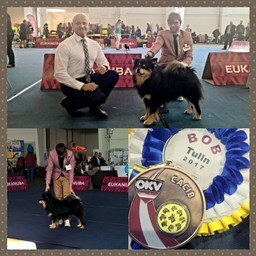 NUCH Tuuli av Vintervidda CAC CACIB BOB NEW CZECH CHAMPION!!! N UCH Tuuli av Vintervidda - ex1 CACA CACIB BOB res.BOG!!! 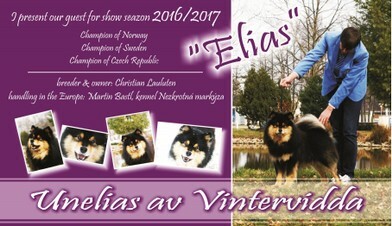 CZ DK CH CZ JCH MEEUW 16 Hosuli av Vintervidda - ex1 CAC, CACIB, BOB res.BOG !!!! NEW INTERCHAMPION!!! !! 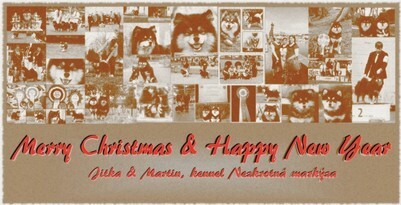 !NEW MEMBERS IN OUR KENNEL AND NEW GUEST FROM NORWAY!!! 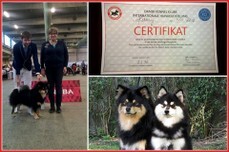 CZ CH CZ JCH Hosuli av Vintervidda - ex1CK CERT, ex2 CK NEW CHAMPION OF DENMARK!!! 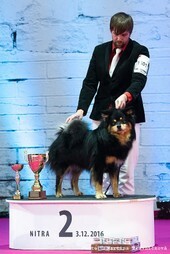 N S CZ HU CH Unelias av Vintervidda - ex2 CK ex1 CK CERT res.CACIB NEW CHAMPION OF DENMARK!!! 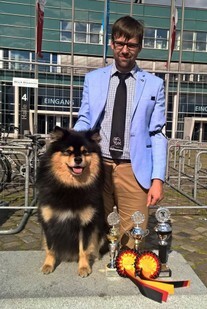 CZ JCH Oilikki Lapinlumon - ex3, ex1 CK NORDIC JUNIOR WINNER 2016!!! CZJCH. MEEUJW. AUJBDSG. 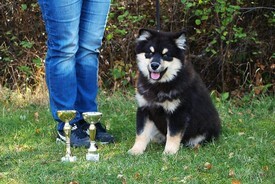 Lapinlumon Oilikki - ex.1 CAJC, Best junior, BOB!!! N S CZ HU UCH Unelias av Vintervidda - ex.1 CAC CACIB CAC ČMKU BOB BOG!!! 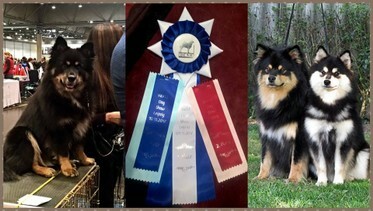 Lapinlumon Oilikki - very promising 1 and BEST IN SHOW PUPPY!!! 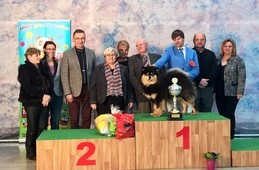 CZ CH CZ JCH Hosuli av Vintervidda - ex.1 CAC National winner 2016 CAC ČMKU BOB and 3rd place on BOG!!! 25/6/16 Speciality show KCHMPP o.s. 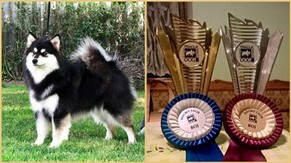 CZ CH CZ JCH Hosuli av Vintervidda - ex.1 CAC Speciality show winner 2016 BOB!!! 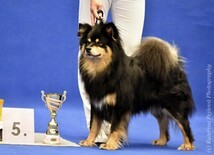 CZ CH CZ JCH Prague winner 15,16 Hosuli av Vintervidda - ex 1 CWC Best male BOB res.BOG!!! !! !FROM THIS SHOW IS HOSULI STUD MALE!!! !! 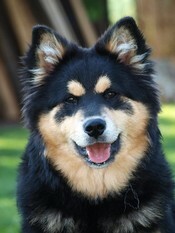 !NEW MEMBER IN OUR KENNEL!! !